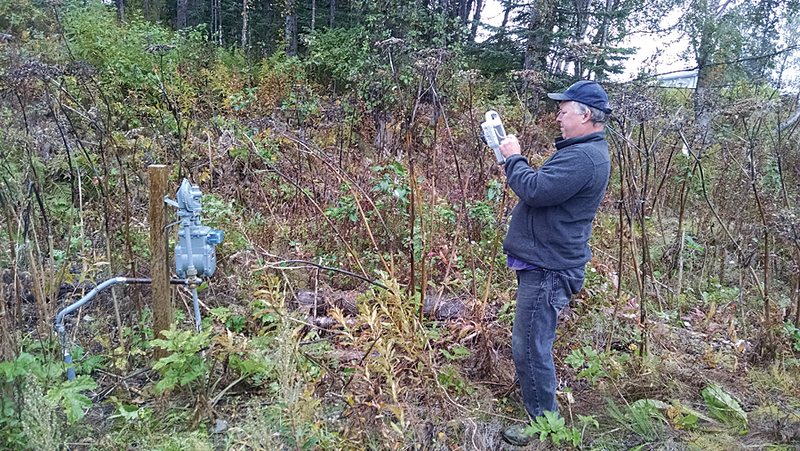 The utility limited inspection work to Alaska’s summer months, May to September, and it used temporary workers who recorded fieldwork on paper maps and printouts. When workers installed a main or service line, they filled out a paper completion report. From these reports, ENSTAR made its annual update to its as-builts. So, true to the Alaskan spirit, ENSTAR was determined to explore another path. 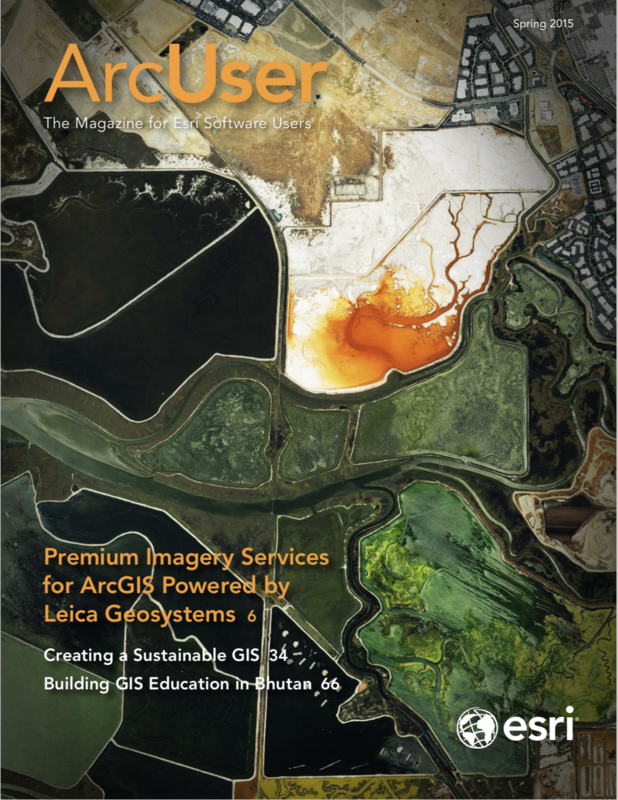 As part of ENSTAR’s GIS strategic plan, the utility wanted to more rapidly collect GIS data in the field as well as the as-built updates in the GIS. ENSTAR also wanted to efficiently and accurately add meter information, which did not exist in the GIS. These changes would increase data accuracy while decreasing paper waste and eliminate time spent scanning documents. 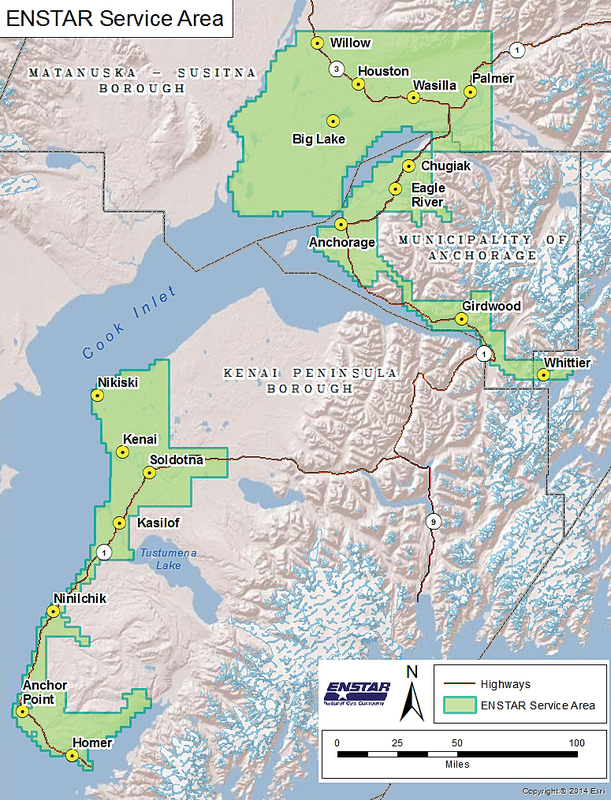 ENSTAR contracted with Anchorage-based custom software developer Resource Data, Inc. (RDI). It is built on Windows for Mobile 10.2 and Windows Presentation Foundation (WPF). Using Esri’s software development kit (SDK) and ArcGIS for Server Advanced, RDI developed a flexible app that included GPS tracking, camera capability, bar code scanning, and a document viewer. Mobile Maps leverages existing work processes. It is completely self-contained and doesn’t require an Internet connection. It updates ENSTAR’s enterprise GIS back at the office each day. Meters are searchable. Each meter entered into Mobile Maps includes a picture. These time-stamped photos provide proof the meter has been inspected. The app won’t close out a job until such a photo accompanies the meter entry. 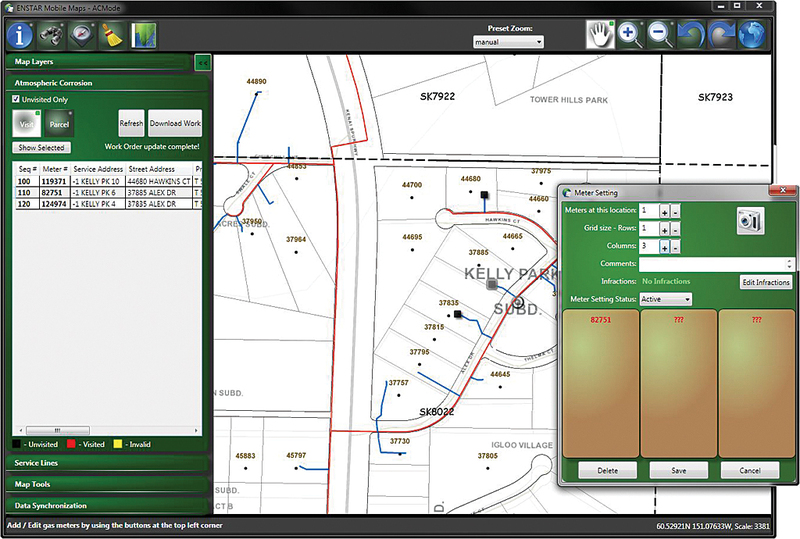 ENSTAR employees can search for features by address, subdivision, lot, block, or location ID. The search accepts wildcard queries. A Follow Me feature shows the user’s location and the location of a feature chosen from search results. As the user approaches the chosen location, the map zooms in. “Through ENSTAR Mobile Maps we have been able to collect valuable meter location information and quickly turn it around for use by our service technicians and others in our company,” said Erick Johnson, ENSTAR GIS specialist. “It helps us identify and find meters which may need repair. As-built information can get out to the field more often, which increases safety,” said Johnson.